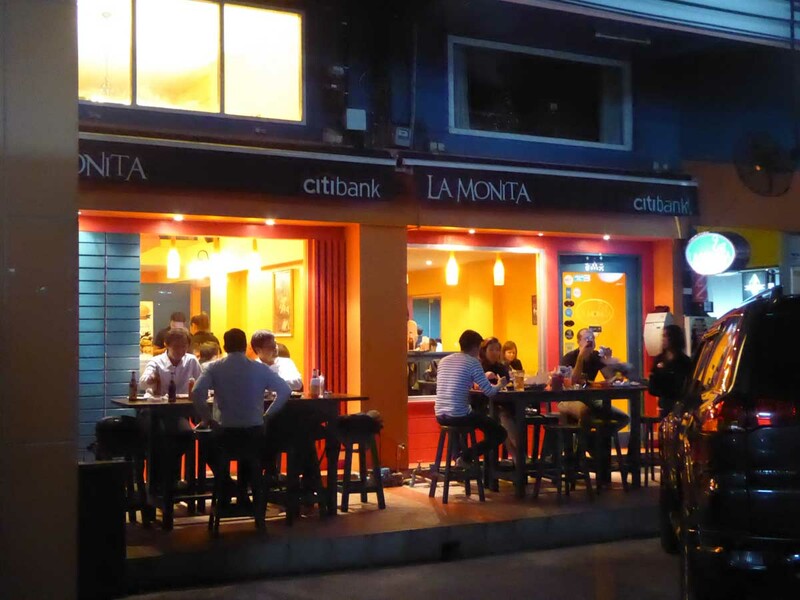 La Monita Taqueria is probably the most complete Mexican dining venue in Bangkok offering reasonably priced authentically flavored Mexican cuisine in a pleasant setting. It is in an old shophouse on a quiet side lane next to Mahatun Plaza a few minutes walk from BTS Ploen Chit station. The interior décor is a mix of vivid colors with orange-yellow walls, and blue bench style tables. There are two interior dining areas as well as seating at the bar and a back patio. There are also some street side tables in front of the restaurant. The extensive menu includes burritos, tacos, quesadillas, enchiladas, fajitas, chimichangas, tostadas, nachos, salads, tortas, nacho fries, wings, chips, and rice bowls. The choice of fillings includes beef, chicken, pork, steak, fish, prawns and vegetarian as well as a choice of toppings and a build your own option. 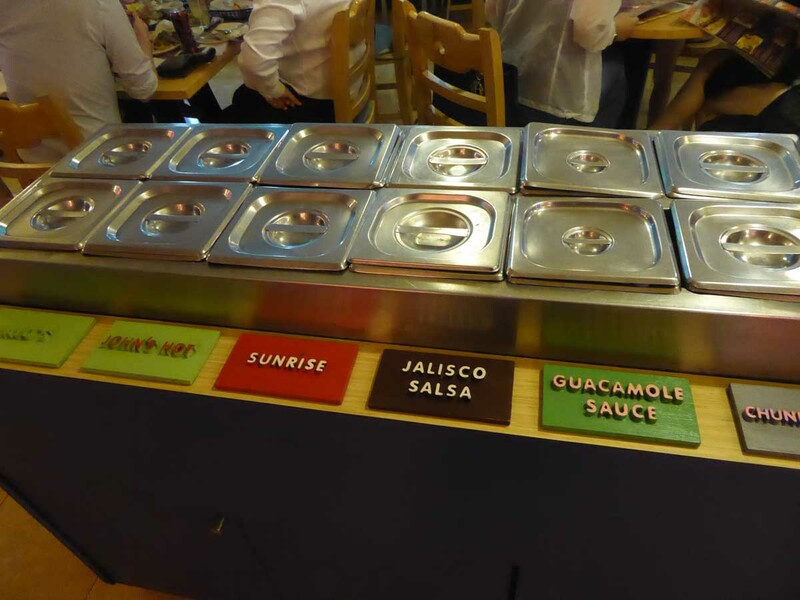 There is a salsa buffet with 15 choices as well as mini size meals for small appetites, platters, and a kid’s menu. Late breakfast/brunch is also served featuring breakfast burritos and huevos rancheros. Most mains cost 240-470 baht with grilled prawn and steak fajitas 450-550 baht. Breakfasts are 200-300 baht and desserts from 50-120 baht including churros and Mexican rice pudding. Beers start at 120 baht, mojitos and cocktails from 270 baht. Portions are large. The music is modern Latin while the clientele is mostly expats and more cultured locals. La Monita is very popular especially at weekends when it is best to make a reservation. 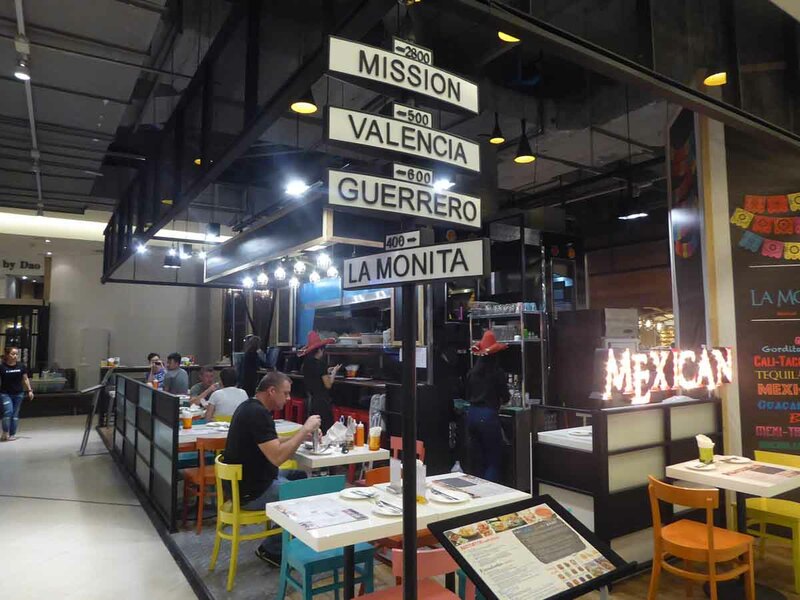 La Monita has two other smaller locations. There is a food truck in the basement of Siam Paragon Mall with seating but a reduced menu. The other location is the Urbana Cantina on the 7th floor, Helix Zone of EmQuartier Mall. The Urbana Cantina differs by having a small, selective modern fine-dining menu with a Californian, Japanese and Peruvian twist adding duck, pork chop, sea bass, crab, tuna, oyster, pork belly, sausage and beef tongue to the usual Mexican favorites. The bar specializes in Latin-influenced craft cocktails and an extensive list of tequilas and mojitos. Don’t expect to find the usual Mexican fare here. Location: Mahatun Plaza, 888/25-26 Ploenchit Road, Bangkok. Getting There: BTS Ploen Chit (exit 2 or 4). 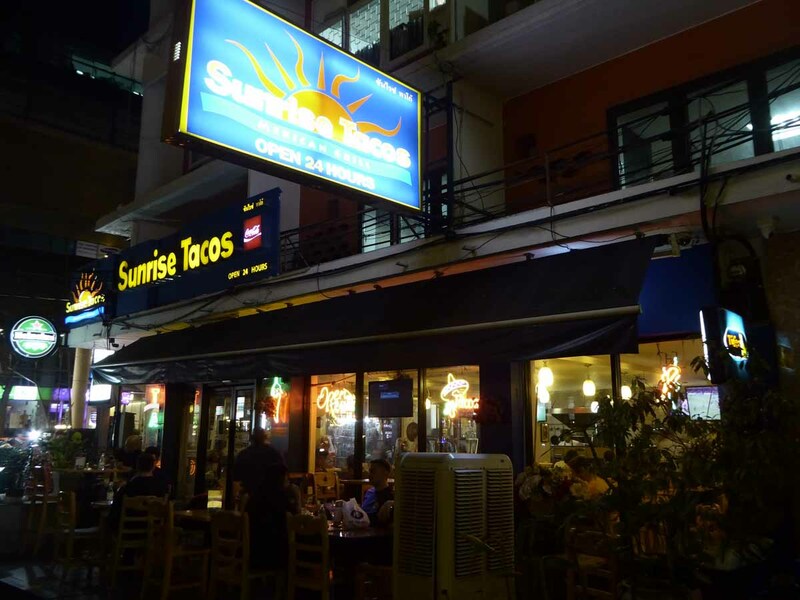 Sunrise Tacos is a chain of Mexican restaurants in Bangkok. The authentic recipes and menu are overseen by a Mexican chef using quality ingredients such as avocado & beef from Australia and fresh vegetables from Thailand’s royal project farms. The corn tortillas are homemade. 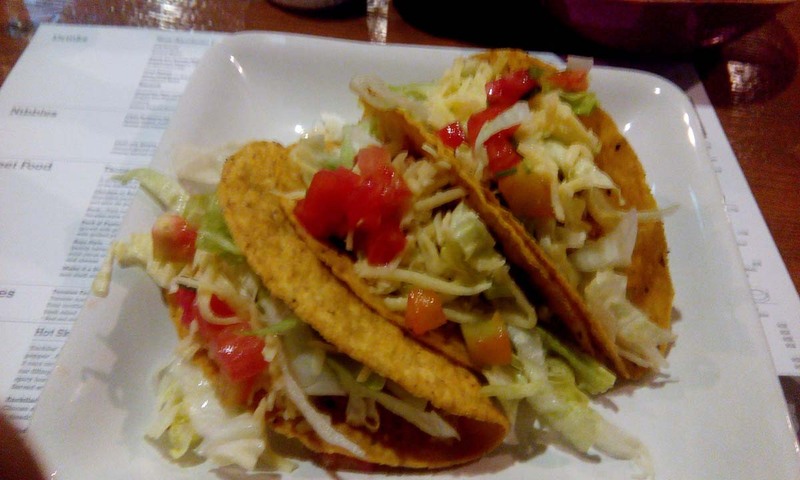 The menu includes the usual favorites such as burritos, tacos, quesadillas, enchiladas, fajitas, nachos, chilaquiles, carnitas, salads, soup, wings, and chips. The choice of fillings includes beef, chicken, pork, steak, fish, and vegetarian as well as a choice of toppings and a build your own option. There is a salsa buffet with 12 choices combined with an excellent value bottomless chips deal. Mains range from 250-350 baht mostly including beans, rice, and salad while steak fajitas are 450 baht. Also on the menu are hot dogs, a burger, and wraps. Desserts include homemade American style pies such as pecan, cherry and key lime at 120 baht. Portions are large. Drinks include local beers at 115 baht, margaritas 180 baht, tequilas from 110-335 baht, and soft drinks at 60 baht. Sunrise has a restaurant on Sukhumvit Soi 13 called Margarita Storm as well as one on the corner of Silom Soi 4, There is also a bistro at Sukhumvit 7/1. There are two branches shared with Subway at Sukhumvit Soi 33/1 and Sukhumvit Soi 7/1. There is also an outlet at Terminal 21. Margarita Storm, Silom Soi 4, and Sukhumvit 7/1 are all open 24 hours while Sukhumvit 33/1 is open until 04.00am for late night dining. Location: Locations around the city. Opening Hours: some open 24 hours. Getting There: All branches on the BTS/MRT. 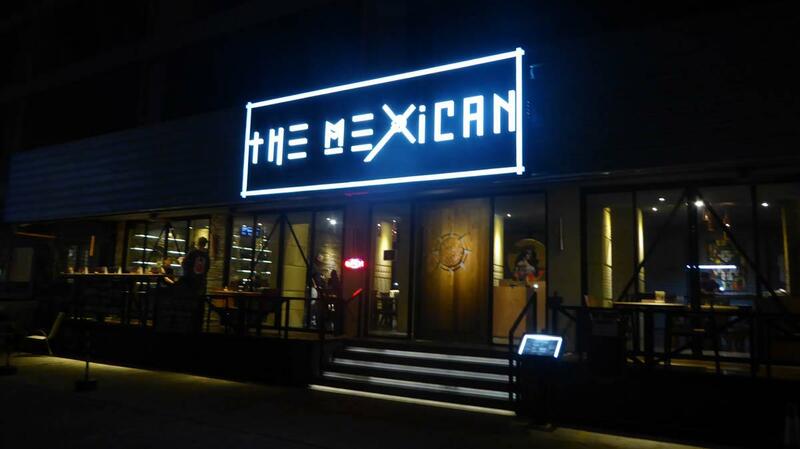 The Mexican is one of Bangkok’s newer Mexican restaurants, though the menu and food are more Tex-Mex influenced. The restaurant has a Day of the Dead concept and once inside the large wooden doors you are greeted by a large circular image of La Calavera Catrina (a day of the dead icon) wearing a spiritual red marigold crown. 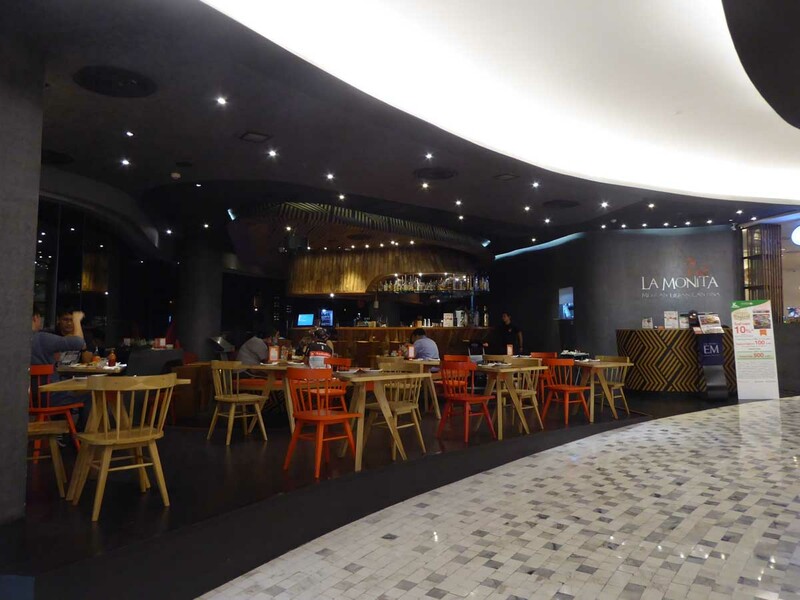 The interior is spacious and features light-colored décor with large tables and comfortable seating. 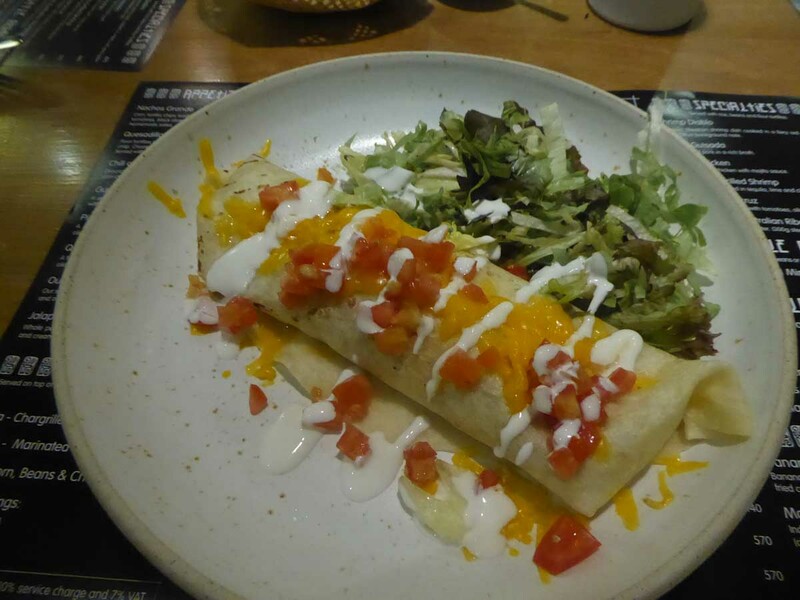 The menu features the usual Mexican favorites such as nachos, chili con carne, burritos, fajitas, chimichangas, enchiladas, tacos, soups, and salads as well as chicken mole, carne asada, and jalapeno poppers. Seafood dishes in the shape of red snapper and prawns feature heavily on the menu as well as the usual chicken, pork, and beef. The restaurant grows their own organic veg on their own farm. 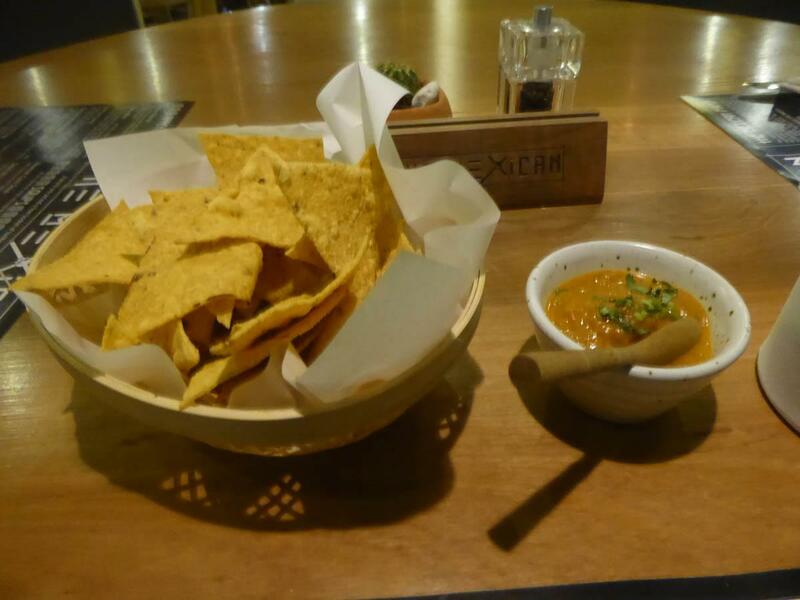 Mains are 200-600 baht with free chips and a delicious homemade smoky salsa. Beers start at 120 baht, and cocktails from 270 baht. There is also a large selection of tequila and mezcal. Also, weekly promotions, Monday is NFL night with 15% off dishes including habanero and jalapeno peppers. 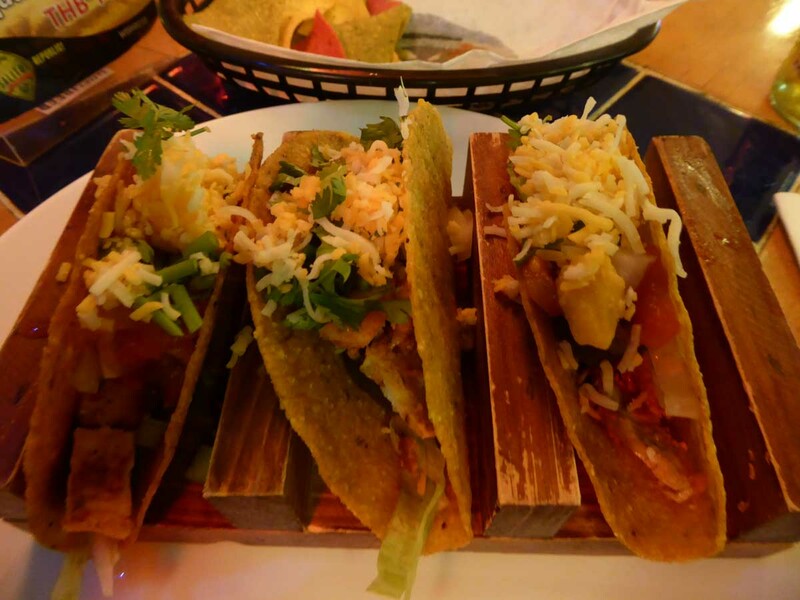 Tuesday 30% off tacos. Wednesday buy 2 get one free on glasses of wine. Thursday is Ladies night with 20% off salads and 120-baht margaritas and mojitos. Friday 20% off tequila shot trays. Sunday live acoustic music, all night happy hour margaritas and beers and a 399-baht 3 courses set dinner special. There is also a pool table at 20 baht a game. 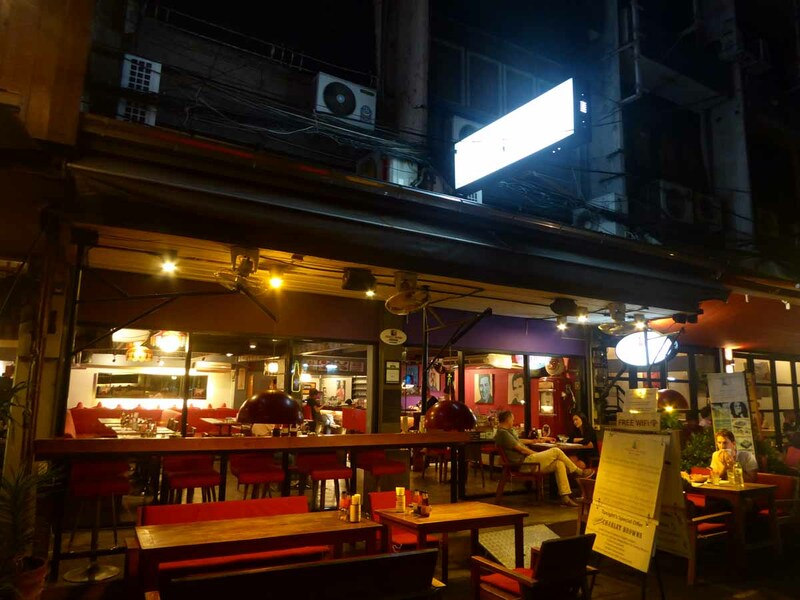 The restaurant is in a quiet location and is an excellent choice for a quality meal in comfortable surroundings, though it’s only a few minutes walk to the bright lights of Sukhumvit Soi 4. Location: Rajah Complex, Sukhumvit Soi 2, Bangkok. Getting There: BTS Ploen Chit (exit 2). Charley Brown’s is Bangkok’s oldest Mexican restaurant having been established in 1992. Decorated in red with pop art pictures and the odd sombrero Charlie’s serves generous portions of good Tex Mex style food to a regular crowd of expats and tourists. 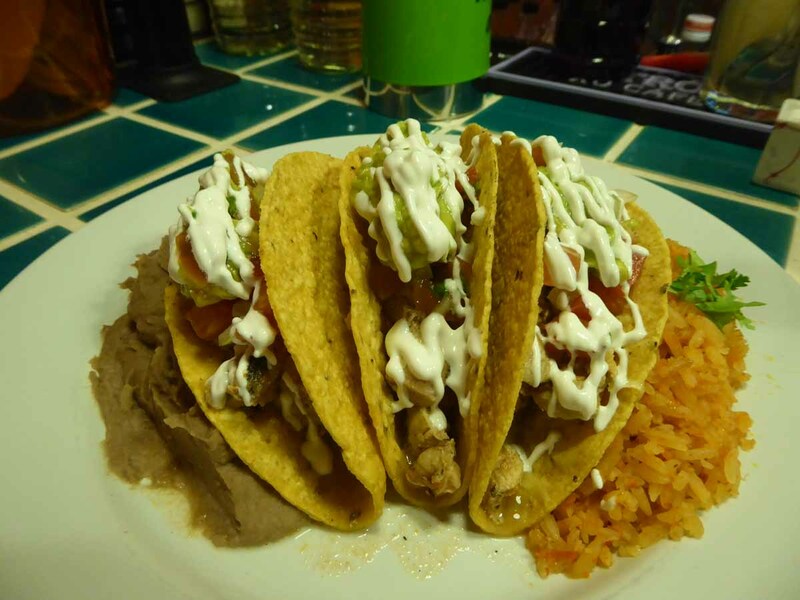 The fare includes burritos, tacos, enchiladas, fajitas, nachos, chimichangas, taquitos, quesadillas, chicken mole, chili rellenos, chilli con carne, salads, a Mexi-burger, and even Spanish tapas favorites gambas and albondigas infused with a Mexican touch. Mains cost from 210-410 baht with a choice of chicken, beef, pork, fish, or prawn with beans and rice and free chips n’ salsa. Mixed platters and a kid’s menu are also available. Charley’s also has what is probably the largest collection of hot sauces in Bangkok just in case your meal needs firing up a notch. Drinks are at normal bar prices and there are half-price margaritas every Tuesday. 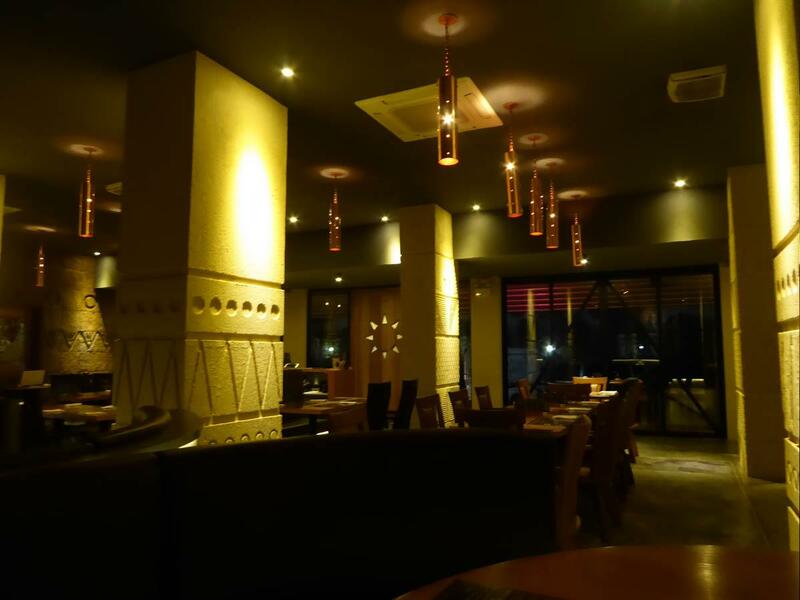 The restaurant’s longevity is also due in part to the friendly owner who knows the meaning of customer service and makes sure everything runs smoothly while finding the time to chat with customers and help with ordering. *Unfortunately, the small sub-soi where Charley Browns was located was sold to a developer and the restaurant moved to Sukhumvit Soi 19 since March 2017. The restaurant is in an alley about 300 meters from the mouth of the Soi, on the left-hand side. Location: Sukhumvit Soi 19, Bangkok. Opening Hours: 12.00-24.00 Tuesday-Sunday. 17.00-24.00 Monday. Getting There: BTS Nana (exit 3).